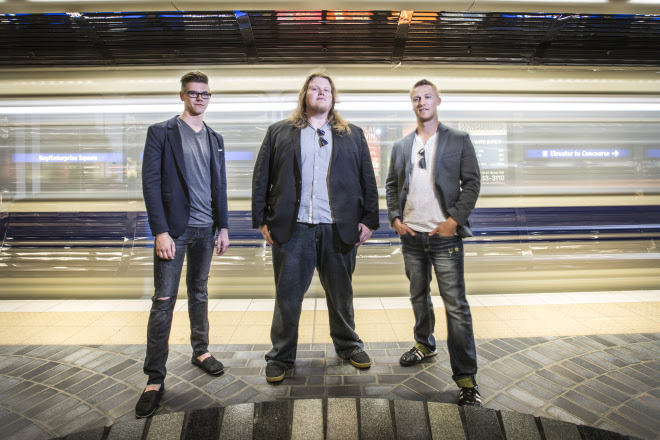 Edmonton, AB’s loudest progressive rock band Tylor Dory Trio have released their latest EP ‘Carried Away’. The EP features their unique blend of progressive rock with a tinge of metal over haunting and soaring vocals. Featuring 4 tracks written entirely by the trio, mixed by Christer-Andre Cederberg and mastered by Jens Bogren (Amon Amarth, Devin Townsend, and Opeth), each track combined with the album artwork is an all encompassing journey into the adventurous, genre-fusing music. Formerly known as Illusive Man, the Tylor Dory Trio features Jonathan Webster on drums and backing vocals, Slava Fedossenko on bass and backing vocals, and Tylor Dory (Death Toll Rising, Villanizer) on guitar and vocals.